Don't look now, but it's another holiday console bundle. This one's for Europe, and is for the PlayStation 3. 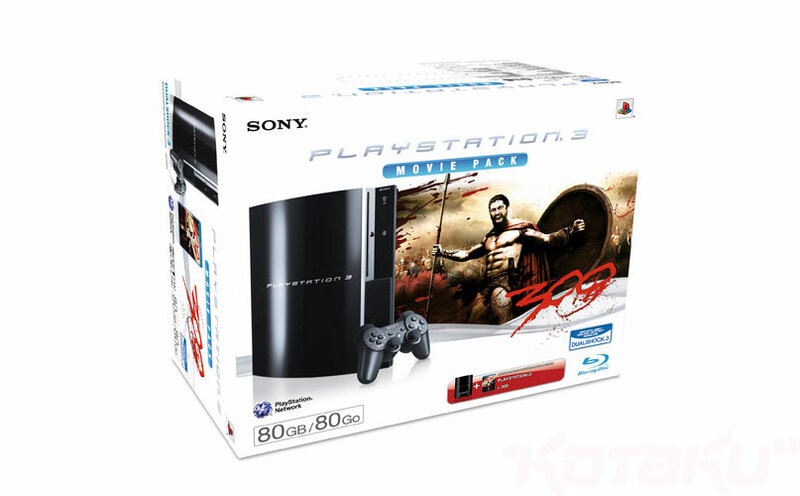 It includes an 80GB PS3, a DualShock 3 and a copy of 300 on Blu-Ray. Nothing big, nothing fancy, just a PS3 with a free copy of a popular movie. Won't set the world on fire, but then, free movies don't hurt when you're sitting amidst a pile of torn wrapping paper on Christmas day, either. It's available now for £300 ($685).